These are truly beautiful. The flower color match my wall color and they look great on the wall. In fact, I bought two sets of them. I have these in my living room (some above my fireplace and another set above my hutch). They add so much to the room. Would recommend to anyone. Dimensions 12.0 In. X 2.0 In. X 28.0 In. The wall decor looks great in my living room and matches perfectly. 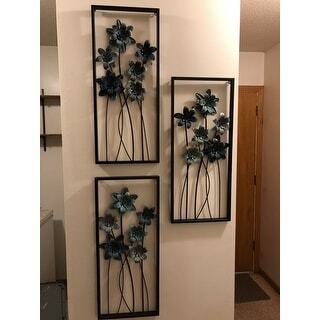 The framed metal flowers are sturdy and add something different to the pictures I have already put on the wall. I really love these art pieces. 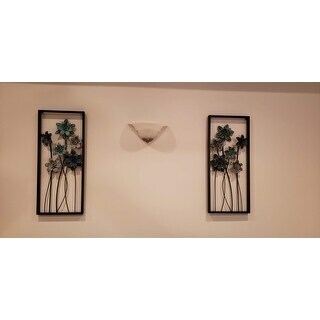 I originally bought them for my laundry room but they look so great I've hung them in my main living room area instead. They are great. Shipping was fast, packaging was adequate and it was an easy buying experience. I'm going to go back and look for some different ones for my laundry room now! Goes well over my sofa. 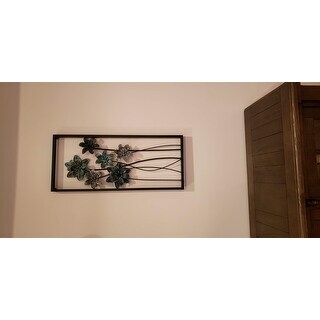 Very pretty wall decor. Love the blue flowers. This was a great buy. I really enjoy walking into my home and seeing this in my entryway. It is made of metal and heavy. The blue tones are what I really like about this on metal. Love it. Looks great above my sofa. No assembly needed. They were very easy to hang and very light weight. Quality of this product is very good and very sturdy. Fun and beautiful . I Have never been a fan of metal art, but these pieces changed my mind. They are perfect! Even better than I thought they would be. 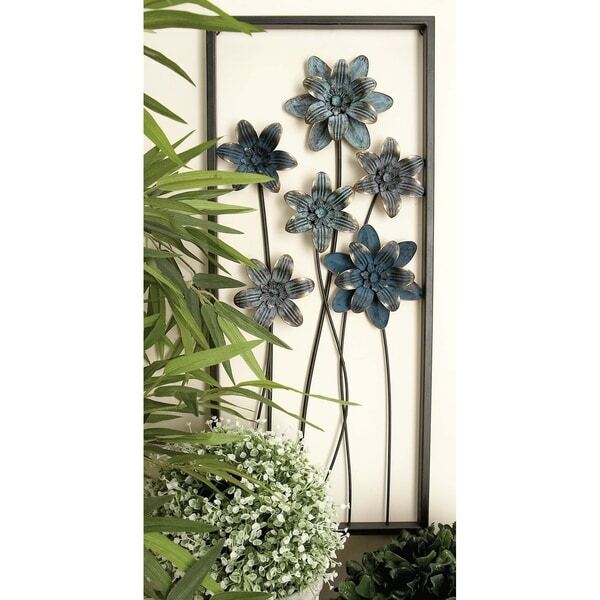 Love flowers and blue and gray.